Bring your business cards. Get Leads! Meet other Chamber Businesses! 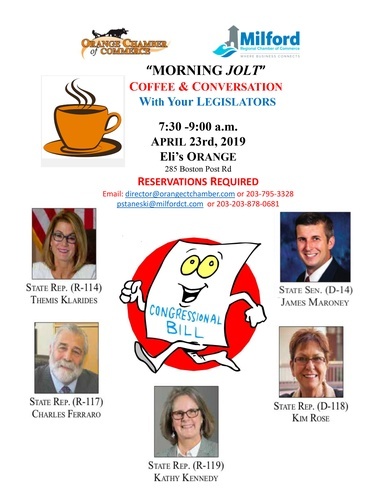 Eli's Orange, 7:30 a.m. to 9:00 a.m.
Tuesday, May 22nd, 7:30 a.m. - 9:00 a.m.